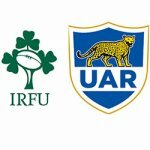 You just know that a match is going to be an interesting one when the players who aren’t playing are a bigger influence on the outcome of the game than those present on the field and actually playing the ball. This is the situation currently prevailing in the camps of both the Springboks as well as the All Blacks ahead of Saturday’s at North Harbour Stadium in Albany. 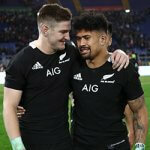 The sheer grit of both sides will be tested to maximum capacity on Saturday as each faces the other without several of their respective players of choice. 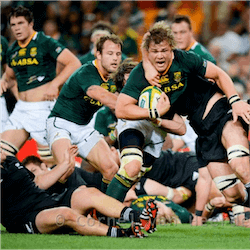 On the side of the Boks, its prop Coenie Oosthuizen’s absence that will probably be felt most prominently. Oosthuizen sustained a broken arm during last week’s stand-off with the Wallabies in Perth. Despite the prop not having been a regular starter for the Springboks, he has shown a great deal of improvement in both strength and general form and has been a pillar of strength in what has been a very impressive Springbok scrum season. Jaco Kriel’s departure from the squad as a result of a shoulder injury on Tuesday only serves to intensify the challenge even further. Kriel has been instrumental in turning the fortune tables for the Boks during the past season. 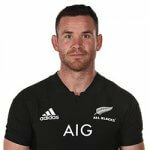 The All Blacks too, will me making do without a couple of their best hands on deck, including Joe Moody and Owen Franks. Moody suffered the same fate as Bok Jaco Kriel, having badly broken his arm during last Saturday’s match against Argentina. Franks is nursing a niggling Achilles injury that has been troubling him for quite some time. Then there’s full-back Ben Smith who has been granted sabbatical leave. 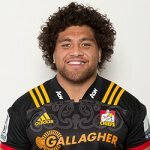 As if that’s just not bad enough, Smith’s successor – in the form of Israel Dagg – is reportedly struggling with a knee injury and may or may not be able to run the field this coming weekend. Springboks coach Alistair Coetzee has said that he knows exactly what will be expected of the Boks on Saturday if they are to score their first victory in New Zealand in eight years. Coetzee said after last Saturday’s draw against the Wallabies, that South Africa was in his opinion, still the best side in world rugby. Coetzee went on to say that he was more than satisfied with the form of the Boks in the match against Australia, but that he was less pleased by the outcome.